Mike Haverly's Sultan is caught in the background making an official flight in Expert Precision Aerobatics at the Raider Roundup as we look up from ground level past Paul Walker's Impactd (right) and Chris Cox's Crossfire. Flying Lines photo. 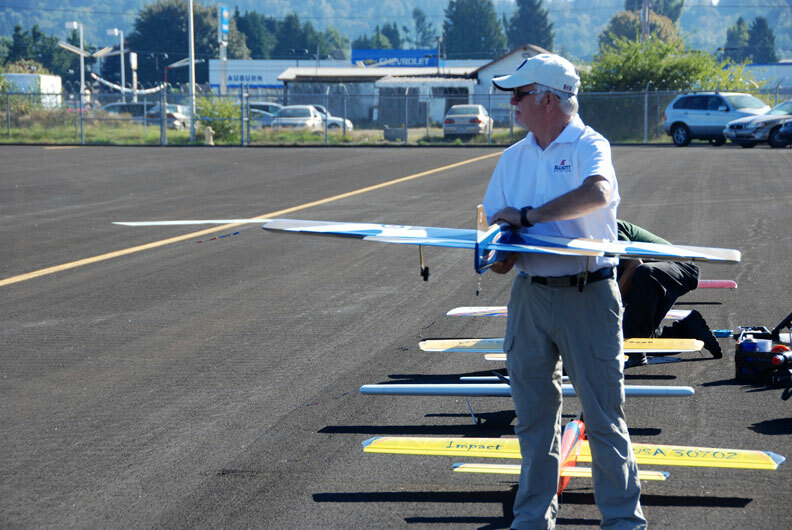 Sept. 13-14, 2014, Auburn Airport, Auburn, Wash. Perfect weather once again greeted Northwest aerobatics competitors at the annual R.F. Stevenson Raider Roundup. 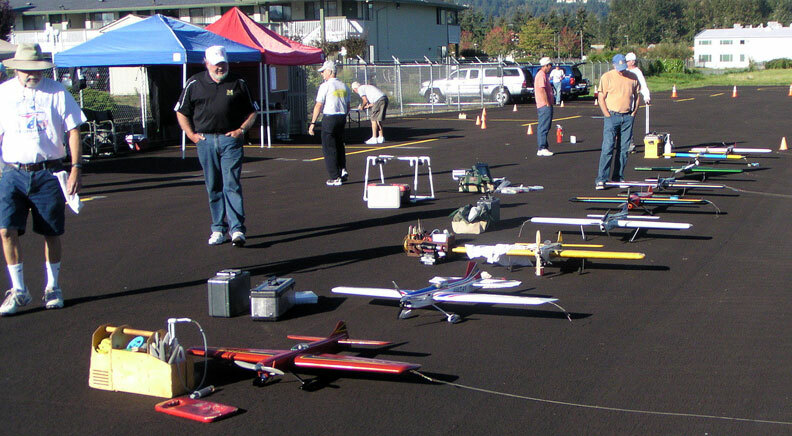 Attendance was down a bit this year but the contest was a flawless weekend of fun with model airplanes, organized and conducted by the Northwest Skyraiders under the able direction of Contest Director Howard Rush. Field preparation was done by Steve Helmick, Peter Ferguson and Fred Underwood. Pull-testing was handled by Dave Gardner, Mike Potter and Randy Powell. Scoresheet runners were Ben Jones and Gary Letsinger. Snacks were provided by Kristen Hunt ande Marilou Rush. 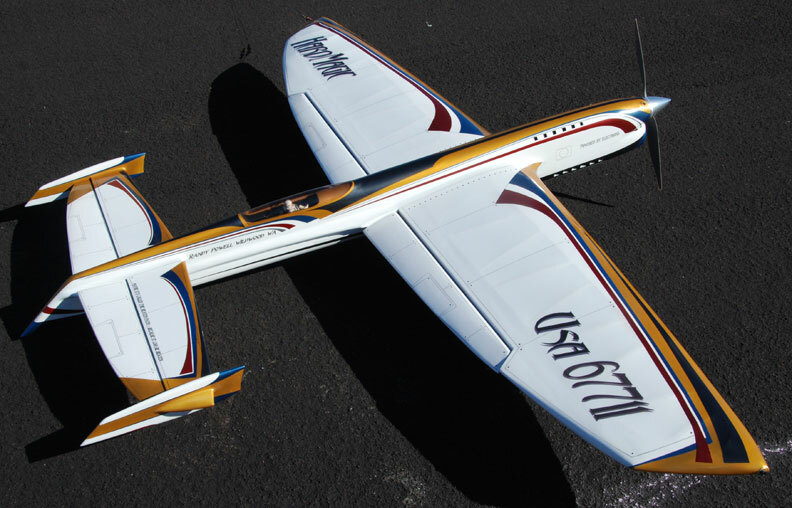 The top-gun event, Expert Precision Aerobatics, was a shootout between Chris Cox and Paul Walker, with Cox taking the first round and Walker coming back to score a 602.5 and the victory in the second round. 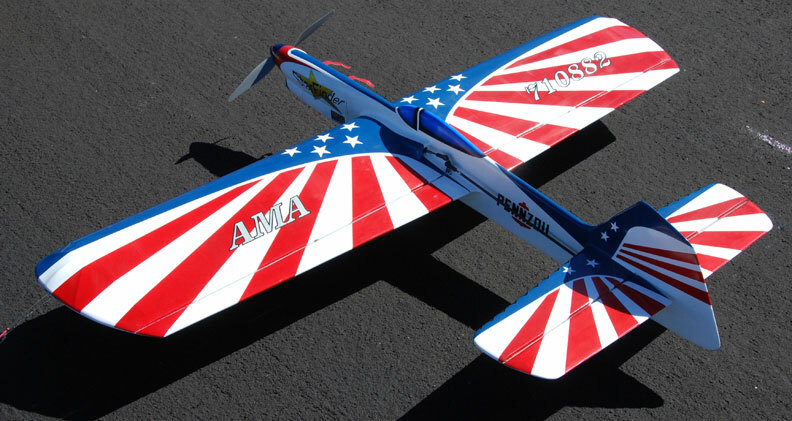 Rex Abbott won Advanced Precision Aerobatics. Bruce Hunt topped Classic Stunt, Mike Haverly won Profile Stunt and John Thompson topped Old-Time Stunt. There were no Beginner or Intermediate Precision Aerobatics contestants, and Navy Carrier was canceled in advance because of lack of anticipated entrants. Lineup of planes for Precision Aerobatics on Sunday. Rex Abbott photo. 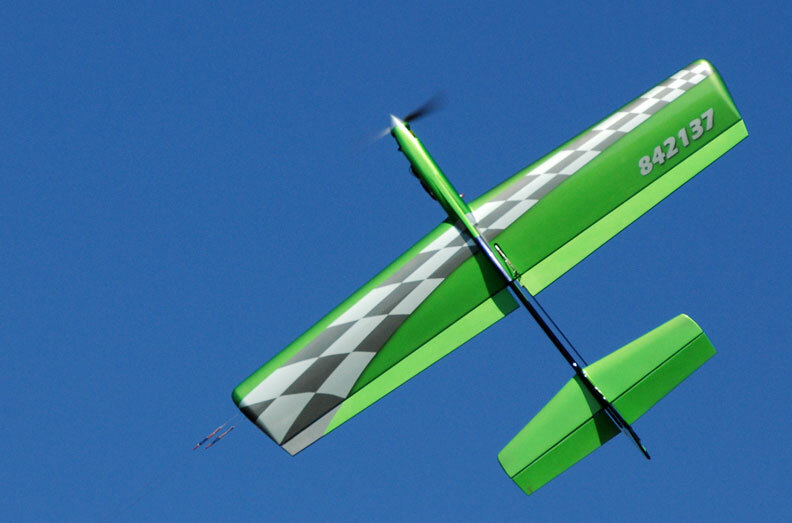 Mark Scarborough's electric Profile Impact in flight. Flying Lines photo. Alan Resinger's Crossfire. Flying Lines photo. Chris Cox's Crossfire in flight. Flying Lines photo. Expert Precision Aerobatics judges Pete Peterson (left) and Bruce Hunt watch Chris Cox's Crossfire glide in for its landing. Flying Lines photo. Randy Powell's exotic Hard Magic in the pits. 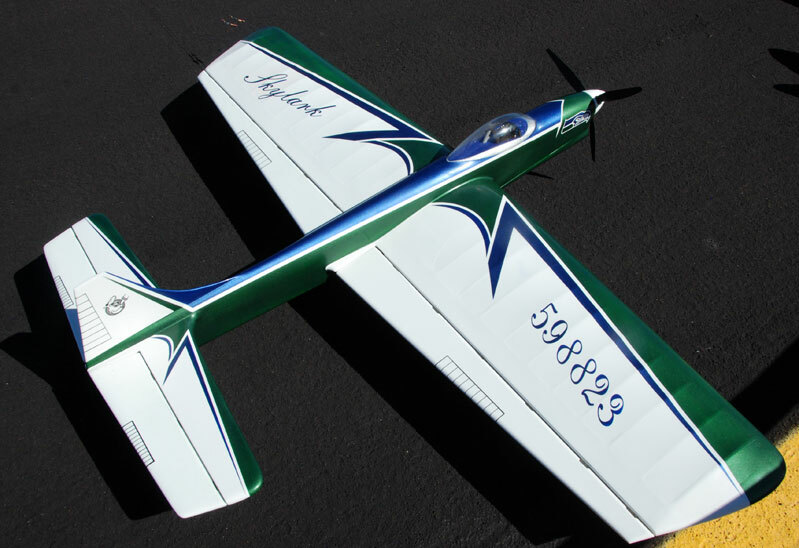 Randy did not compete, as the plane is still in shakedown phase. Flying Lines photo. Bruce Hunt's Skylark. Flying Lines photo. Two beauties from Mark Scarborough, his electric Profile on the left and Classic Avenger on the right. Flying Lines photo. 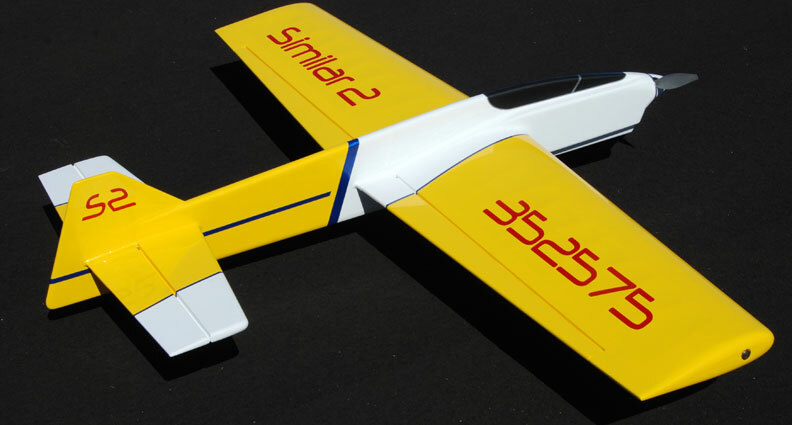 Fred Underwood's Similar 2 electric Profile. Flying Lines photo. Mike Haverly's Starfinder for Profile. Flying Lines photo. Chris Cox performs the pull test on his Crossfire. Flying Lines photo. 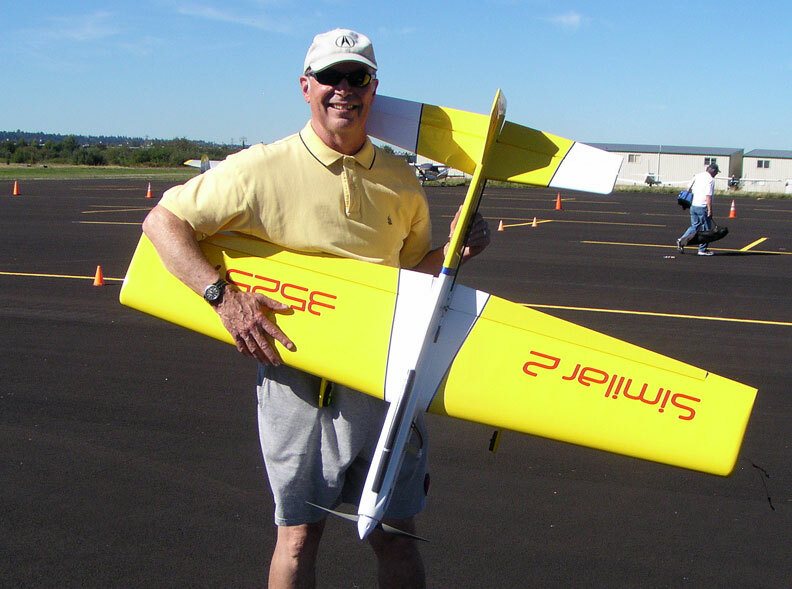 Bruce Hunt flies his Skylark. Rex Abbott photo. Mike Haverly flies his Sultan as Bruce Hunt judges. Rex Abbott photo. 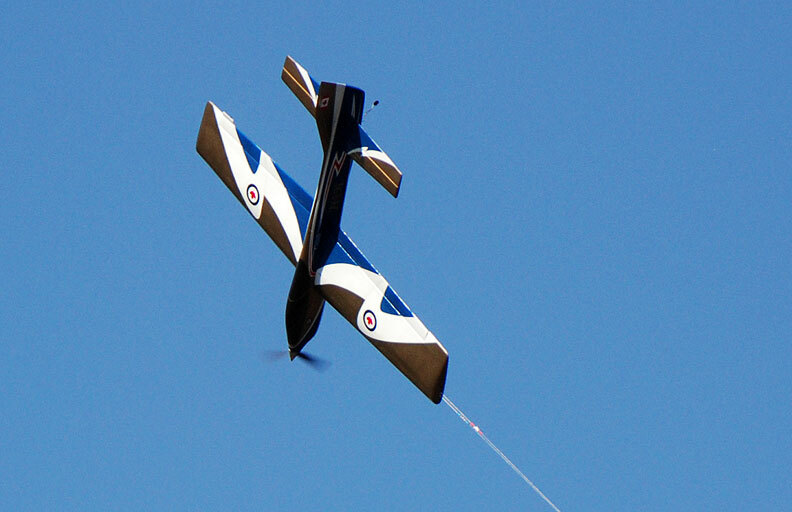 Tom Strom puts in an official flight in Advanced Precision Aerobatics. Rex Abbott photo. Fred Underwood, new on the circuit and making rapid progress. Rex Abbott photo.